As a water reservoir between desert and savannah, Lake Chad has attracted many immigrating groups and individuals from times immemorial until present. The annual fluctuation of the water level and the flood accompanying that cyclical change gave space for cultivation, fishery and hunting but also room for hide-outs and refuge. The political dynamics of the area is of similar importance. Lake Chad served as crossroads for ruling dynasties and commoners, as a region where new political formations developed but also as a natural barrier which diverted trade and interaction. Despite its important role in the development of the wider region's cultural history, the social sciences – unlike the natural sciences – discovered Lake Chad as a rich and promising field of study only comparatively late. The present volume attempts to address this shortcoming in drawing together essays from the academic fields of anthropology, archaeology, geography and history. Most contributions to this volume originated within the context of the Collaborative Research Centre Cultural Development and History of Languages in the West-African Savannah (1995–2002) at the University of Frankfurt/Main (Germany). The contributors draw on their rich experiences in the field and present both new findings on historical and recent social and cultural transformations, and previously published data in re-interpretation. Au total, voici donc un livre extrêmement intéressant, qui nous offre un tableau riche et précis des phénomènes socio-culturels provoqués par les variations du lac Tchad et surtout par son assèchement actuel. Sur l'afflux de migrants et la société nouvelle qui prend forme, dans cet espace pionnier, il apporte des informations d'autant plus précieuses qu'elles faisaient défaut jusqu'alors. Wie die verschiedenen Ethnien auf diese gewaltigen Umweltveränderungen reagiert haben, wird anhand der Beispiele anschaulich, wissenschaftlich fundiert und auch für den Nicht-Anthropologen verständlich beschrieben. Da die Beiträge zum größten Teil Synthesen der jahrelangen Feldforschungen und Labor- und Literaturstudien enthalten, hat man nach der Lektüre des Bandes einen großartigen Einblick in die Tschadsee-Region, die als innerafrikanischer Grenzraum eine zentrale Rolle in der Reproduktion traditioneller afrikanischer Gesellschaften im Laufe der Geschichte gespielt hat. Vor allem aber führen die in den letzten Jahren ausgeführten sozialhistorischen und sozialanthropologischen Studien zu einem Verständnis der gegenwärtigen Situation und Probleme der dort lebenden Bevölkerung. Es ist geradezu spannend (und bisweilen amüsant!) zu lesen, welche politisch-administrativen, ökonomischen, kulturellen, sozialen, religiösen und anderen Arten von Konflikten und Situationen sich daraus ergeben, dass innerhalb der letzten 25 Jahre auf dem trockengefallenen Seeboden mehrere 100 Siedlungen entstanden sind [...] Man wird bisweilen an die mitteralterliche Ostkolonisation in Mitteleuropa erinnert, wo Feudalherren zur Machterweiterung Siedler anwarben, oder an die "Frontier" der Pioniere im Wilden Westen Amerikas, wo man genauso zu schnellem Glück und Reichtum zu kommen hoffte - mit recht ähnlichen negativen Begleiterscheinungen. 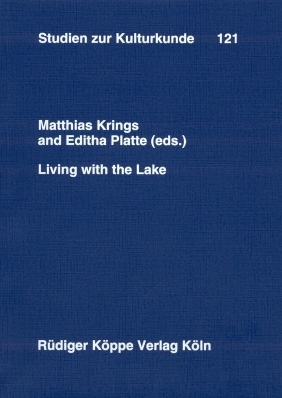 "Living with the Lake" offers a new, plural and functional perspective on the uses of the lake since ancient times. This multidisciplinary work is easy to read, well targeted and shows an excellent knowledge of the field.